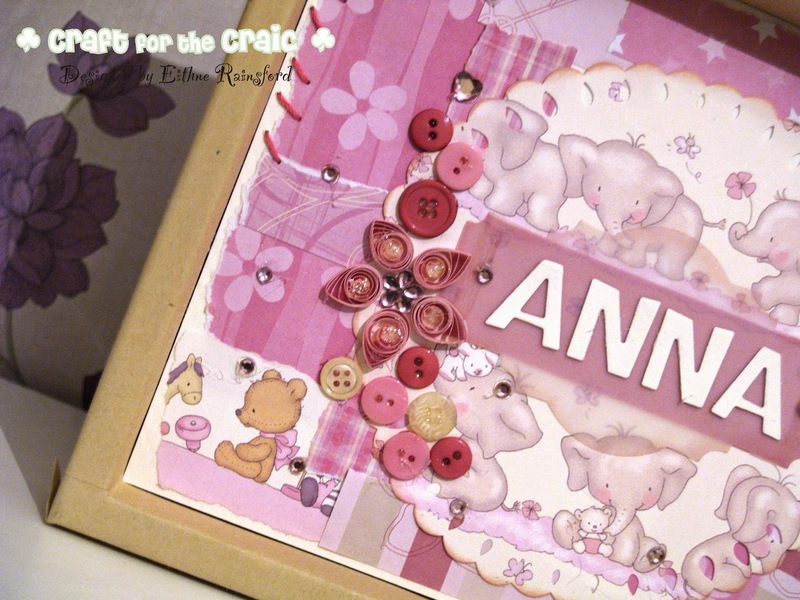 Hello and welcome :) Hope you are enjoying your Friday, wherever you are :) Today the new challenge for Craft for the Craic goes live, and the theme this month is 'Something for a baby'. At the beginning of last month, my niece Anna was born. I made this for her, and that in time she could put it up in her bedroom. I used a combination of papers, tore them and stuck them onto some cream board at the back. It created a patchwork affect. Then I punched the elephant paper into the circle, inked it and stuck it down in the middle. 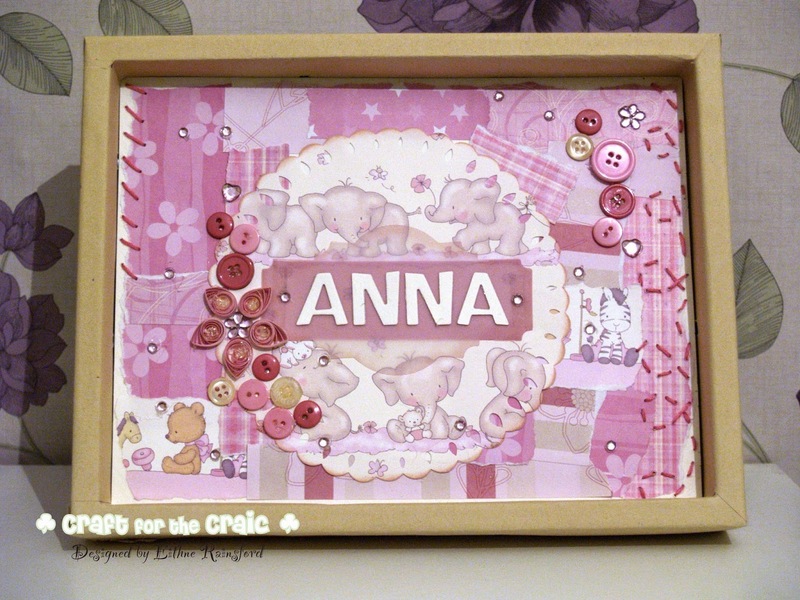 Using two different tones of vellum, I created an area for Anna's name to go. 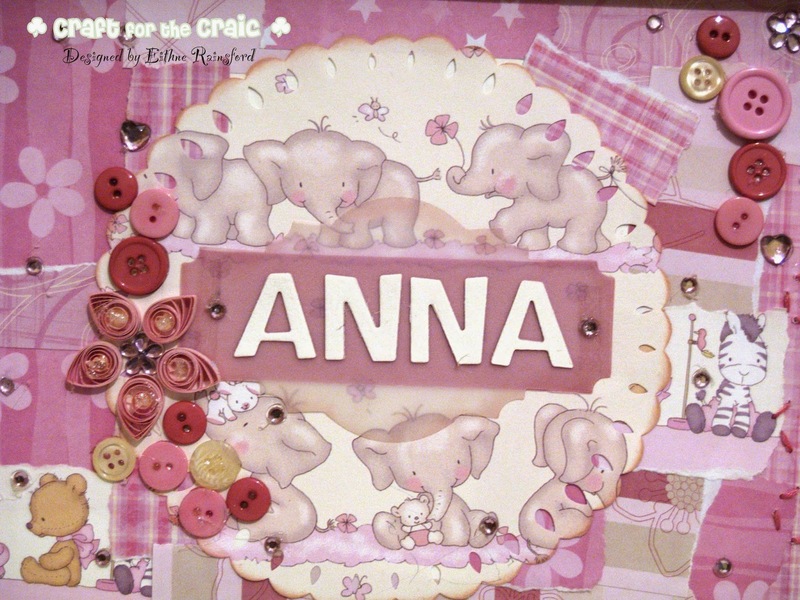 I cut out Anna's name with the same board as per the base (although it is rather hard to see, it is so well covered ;) ) I sewed some pink thread up each side, and stuck down a serious of buttons, gems and other bling. I created this flower with some quilled paper and a flower embellishment. Thanks so much for stopping by, and I hoped you like my creation. 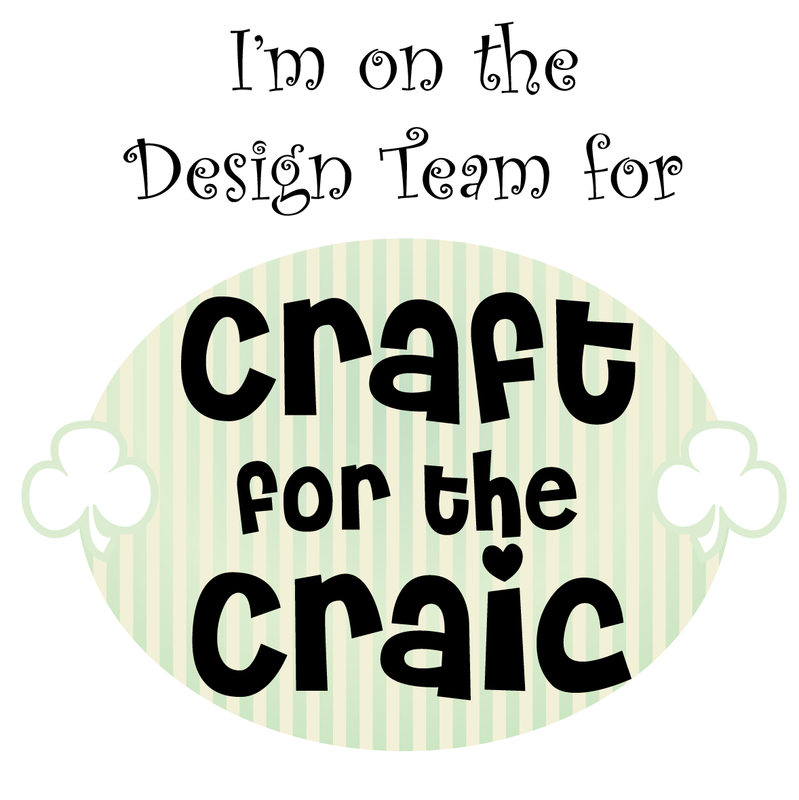 Why not pop over to Craft for the Craic and join in, in the challenge? I hope to enter a few challenges. Have a brilliant weekend, in Ireland we have a long weekend! Woohoo!! 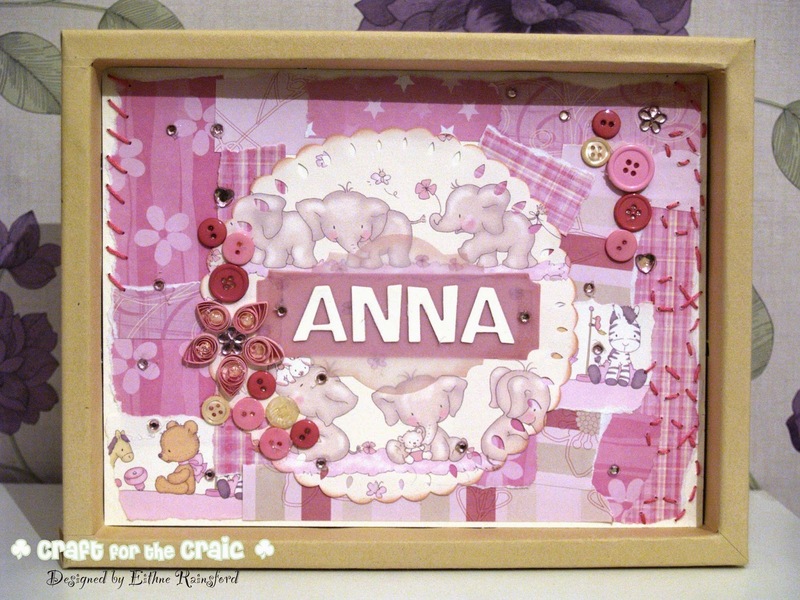 Oh Eithne I LOVE this so much :-) Lucky Anna, and now You have committed to making one for her Sister, You better get Your skates on!! :-) LOL! !